2014 J.D. Power Vehicle Dependability Study Released – Cars Getting Less Reliable? Each year we take pleasure in reviewing the J.D. 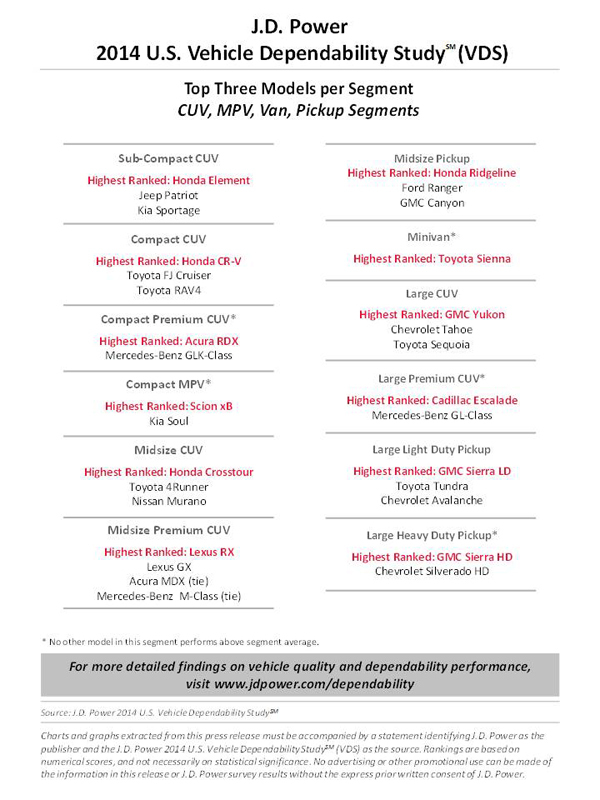 Power Vehicle Dependability Study and examining which automakers make the top of the list and which ones falter. This year, for the first time since 1998, the overall dependability declined when compared to previous years. The 2014 study is significant more so in its demonstration of over-all dependability, all according to problems per 100 vehicles reported, due to a decline throughout the entire automotive landscape. One could conclude that today’s cars are a bit less reliable than the outgoing few years. Though, this is not to say some of your favorite brands have not improved. 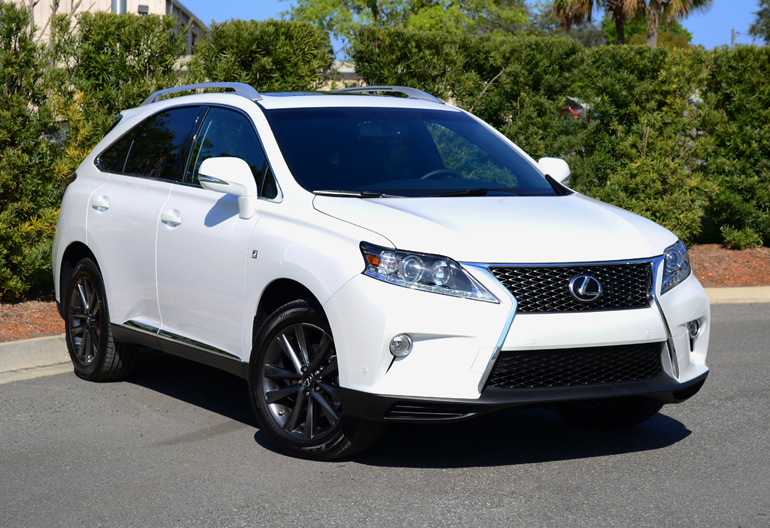 Considering how Lexus has remained to stay at the very top of the list demonstrates how there pursuit for perfection is paying off. 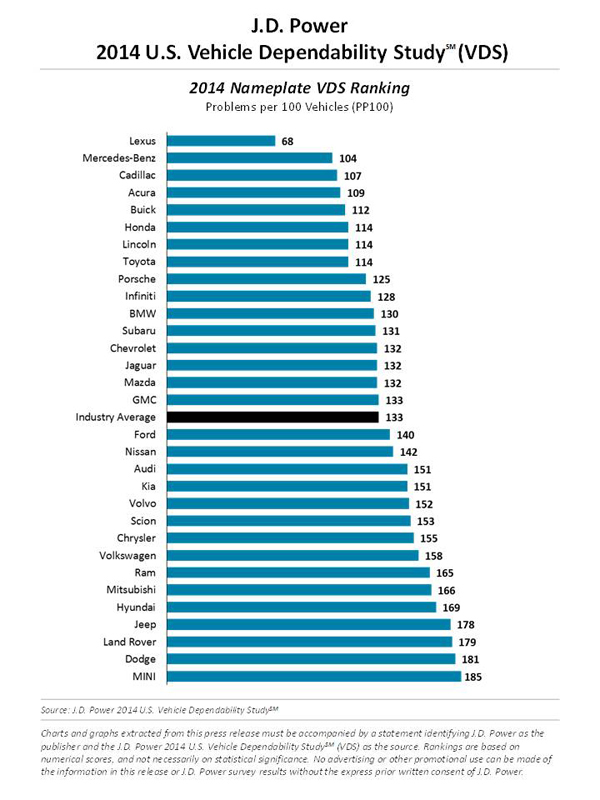 Additionally, their margin over the next best automaker is astonishing, scoring only 68 problems per 100 vehicles while Mercedes-Benz takes second place with 104 PP100. You may view additional data on the 2014 J.D. 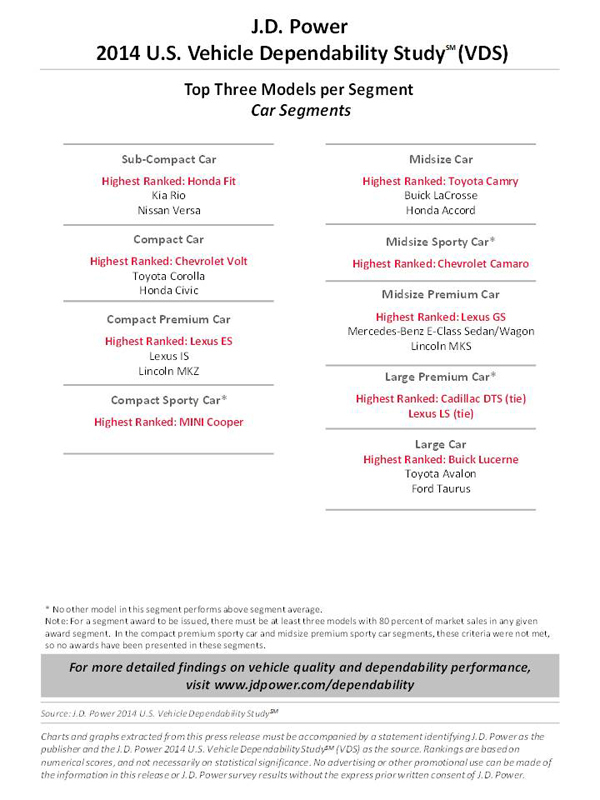 Power Vehicle Dependability Study on their site here.